Hyundai and Kia plan to offer more highly-advanced turbo and diesel engines in their forthcoming cars and SUVs! October 23rd and 24th were big dates on the calendar for the folks at Hyundai Motor Group. 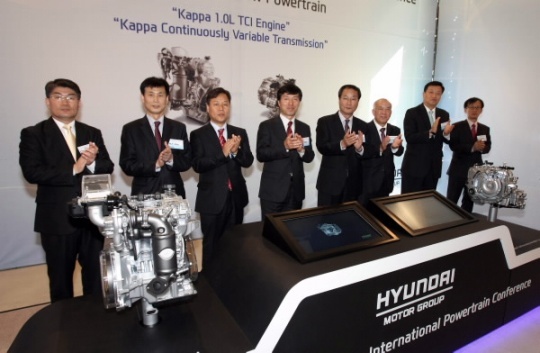 Those were the dates of “The 12th Hyundai-Kia International Powertrain Conference,” where the company revealed new technologies and future plans, all under the “Convergence of Human, Environment and Powertrain” theme. The conference was held at a hotel in the vicinity of the Hyundai Motor Group R&D Center in Korea, with the company revealing where they stand with current developments, as well as outlining future powertrain plans. It seems that many of those plans are falling in line with the engine downsizing that seems to be taking place globally. Hyundai has spent time adding Turbo Gasoline Direct Injection – T-GDI engines to their entire lineup. The T-GDI engine delivers incredible performance and fuel economy, whilst also being kind to the environment. The South Korean carmaker addressed their desire to expand their global sales by talking about their future plans for diesel engines. 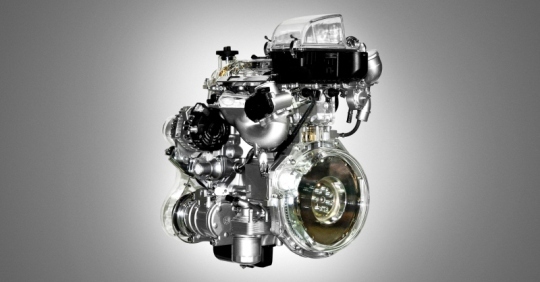 They feel that the best way to deliver a better diesel experience to their global customers is to try and advance the technology on their existing U, R, and S family of engines. The conference also focused on the work that Hyundai is doing in the further development of transmission technology. Like the work with engines, the goal is to make transmissions that are lighter and more fuel efficient, whilst also delivering great performance. Hyundai has already made a mark by being the first to deliver an 8-speed auto transmission, and they now have their sights set on premium models, too. Hyundai also plans on delivering powertrains that have been customized to suit local driving conditions. For example, there is expected to be an increase in T-GDI engines in the US and China, with flex-fuel engines being introduced in countries that are better suited to that style. There are even plans in place to provide engines that can stand up to extreme weather conditions, all with the goal of boosting overseas sales. -Kappa 1.0 TCI (using turbocharger intercooler) engine with 106 horsepower, developed for use in Hyundai’s sub-compact cars such as i20 hatchback and ix20 MPV. – brand-new Kappa CVT (Continuously Variable Transmission). It was estimated that around 1,000 industry experts were in attendance at the conference, with much of the talk circulating around how to improve powertrain technologies that will help the environment. The participants of the Hyundai-Kia engine conference included members from Bosch, Continental, Delphi, Magna Powertrain and Denso. The 2-day conference consisted of 44 different theses presented over 6 different sessions.